Recruiting & scheduling staff has never been easier. 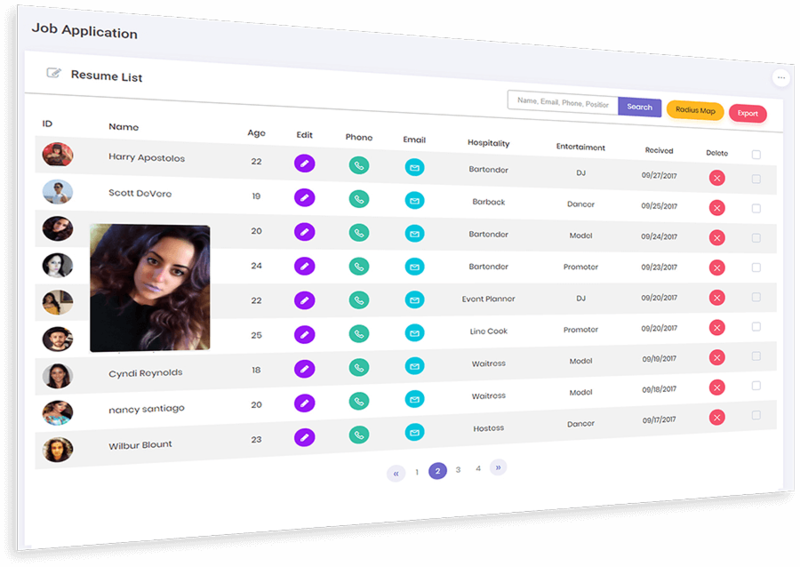 Have organized resume database with photos & social links of job applicants. 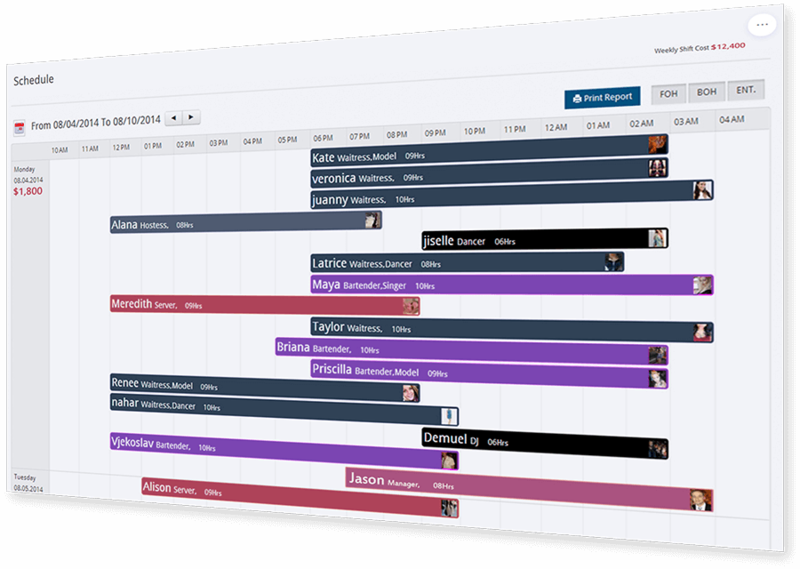 Set staff schedule instantly with easy view. Send email/SMS shift notifications to all your staff members at once. Easily calculate staff payroll & know your labor cost. Communicate with staff, share operation tasks & shift updates. Write evaluations notes about staff performance.